SoCalCycling.com has put together some Holiday Gift Ideas for the cyclist on your list, including some of our favorite products. If you’ve been good (or bad), then why not treat yourself to some of these great gift ideas too! KMC Chain specializes in making some of the best and most reliable chains on the market around the world. No matter if you are riding BMX, mountain bike, track, fixie or road, KMC makes a variety chains for each type of bike, for various speeds and in different chain weights. The X-SUPERLIGHT SERIES weighs only 243 grams and comes in a variety of colors to match your bike. KMC Chains are available at bike shops and at kmcchain.us. Union Sport creates forward thinking, exceptionally designed saddles for premium bicycles. 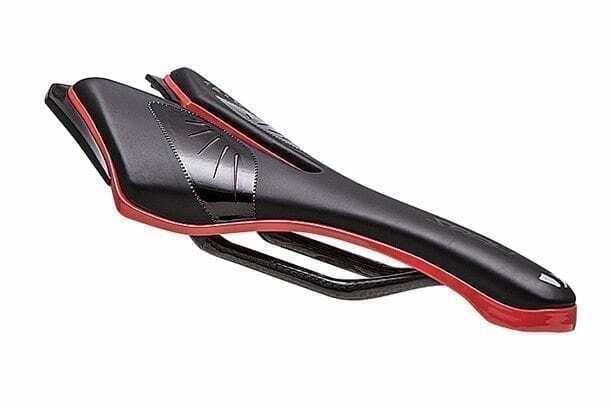 Union Sport offers a variety of different saddles that are designed with features that are compatible with a variety of body shapes, sizes and flexibility that are both comfortable and stylish. Union Sport saddles are available at bike shops at union-sport.com. Fabric has a wide range of lights that are perfect for commuting or squeezing in those extra miles after work when the sun has gone down. Fabric lights are stylish and will keep you safe on your bike with both front and rear-specific lights. The athletes and foodies in the Clif kitchen have crafted a whole new kind of energy bar! The CLIF® Nut Butter Filled Energy Bar come in four delicious flavors including: Chocolate Hazelnut Butter, Chocolate Peanut Butter, Coconut Almond Butter and Peanut Butter for the perfect stocking stuffer! Clif Bar products are available at bike shops and at ClifBar.com. The Rocky Mounts Hendrix is a sleek ergonomically designed lock made of 5mm rubber-coated steel plates daisy chained into a 27-inch-long “cable style” lock. It has a security rating of 7, features push button, spring-loaded engagement for easy opening and locking, and folds to the size of a small water bottle when not in use. It comes with three keys and a water bottle cage mounting bracket for $69.95 MSRP. Who doesn’t love a great cycling book? Greg LeMond: Yellow Jersey Racer celebrates LeMond’s entire legendary career through huge photographs and revealing interviews with LeMond, his teammates, and his rivals. The book also includes extensive contributions from LeMond and interviews with Jeff Bradley, Kent Gordis, Phil Anderson, Sean Kelly, Ron Kiefel, Stephen Roche, Robert Millar, Shelley Verses, Andy Hampsten, Johan Lammerts, Ronan Pensec, Otto Jacome, and Chris Boardman. The 2017 Darrell Parks Calendar by Photographer Darrell Parks features photos from the 2016 Amgen Tour of California and North American race season, so you can enjoy great cycling photography every month of the year.